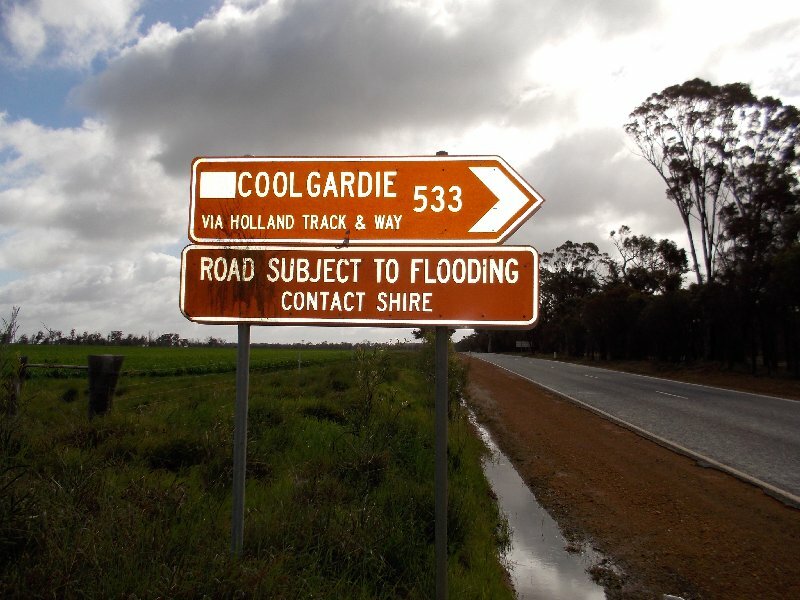 Start of the Holland Track to Coolgardie. Back in 1893, gold was discovered in Coolgardie and prospectors came from all over Australia to seek their fortunes. The only route available from Albany was via Northam and a shorter route was required. John Holland and his party set out from Broomehill in April 1893 to carve a track to Coolgardie, which would take about two weeks off travelling time. They arrived there two months later, having covered 330 miles of unexplored country, and cut the longest continuous track in WA. Today you can still follow the Holland Track and detailed information and a map can be obtained from the Broomehill Shire. Best times to travel the track are autumn and, particularly, spring (wildflower season). Holland Park, in the centre of Broomehill, is dedicated to the gutsy explorers who opened up the Holland Track and is a lovely spot to rest or play. One of the oldest bridges in WA still standing, it can’t handle cars but you can walk across to the nearby Hayfield Reserve and enjoy the flora and fauna. The pool here is where the locals used to cool off during the hot summers and, even further back, it was an Aboriginal ceremonial site. Nearby, the old Hayfield School, an 1854 pioneer grave and a hut built by Prisoners of War can be found still standing. A detailed map can be picked up from the Broomehill Post Office, Shire or Roadhouse. This shady oasis, situated in India Street, is ideal to break your travel, with playground and free barbeque facilities available. Built in 1898, it has played many roles, including Town Hall, Mechanic’s Lodge and Church. Today it contains a treasure trove of interesting machinery and memorabilia. Well worth contacting Anne 9824 1309 or Ern 9824 1378, who are happy to open the doors. Built in 1911, this impressive heritage listed building was the shopping centre of its day, where you could buy everything from flour to bullets. This newly renovated building is not to be missed so drop in to taste or buy local wines, or to learn about Broomehill’s past and future. Originally built in 1892 as a police station is open daily. 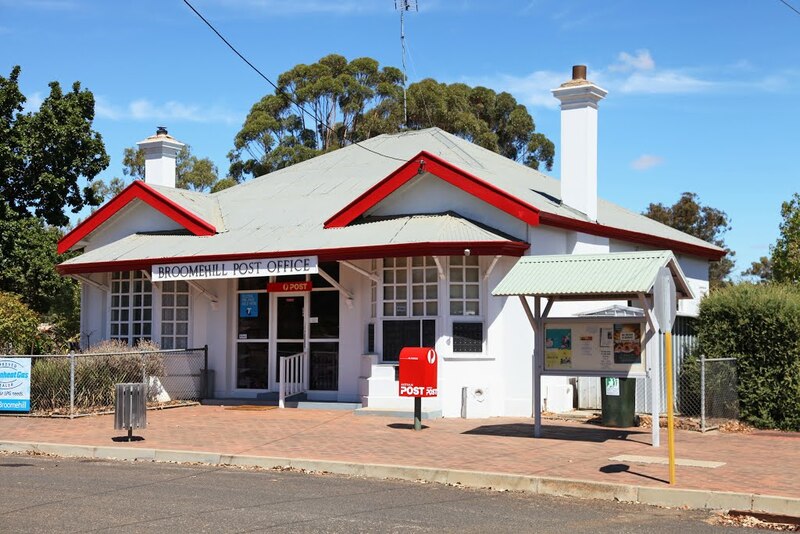 The Broomehill Post Office has been delivering mail to the Broomehill people for over 100 years and has been recently renovated to include a small gift and stationary shop. Local tourist information and brochures are also available.